Equally robust as the classic Bluetooth, BLE beacons are best known for high efficiency functioning with multiple nodes of communication, with the least latency demands. With almost 3/4th of the US retail sector already incorporating Bluetooth beacons in their modern marketing mix, the global Bluetooth beacons technology landscape is all set to demonstrate exceptional growth in the near future. To establish real-time communication between brands and their customers, the former are adopting proximity marketing solutions that are based on the proximity of customer locations. As customer perceptions continue to take the center stage and competition across industries remains on an ever-growing surge, smart and interactive marketing solutions such as BLE beacon technologies are likely to witness an excellent adoption outlook over the coming years. In an effort to deliver a mobile experience to customers beyond mobile devices, marketers are foreseen to support the growth of BLE beacon technologies market. Besides established platform providers, the global BLE beacon technologies market is flooded with prominent hardware suppliers and beacon technology providers. Along with industry behemoths such as Google Inc., Apple Inc., Accent Systems, and Gimbal, the BLE beacon technologies market is also operated by some other prominent players, including Beaconinside, RECO, Estimote, Texas Instruments, BlueCats, KS Technologies, Blue Sense Networks, Kontakt.io, Onyx Beacon, Estimote Inc., and Madison Beacons. Innovation in beacons covering diverse application ranges is currently the top strategy adopted by strong contenders such as Gimbal, Estimote, and Kontakt.io. Whereas, several others in the competitive landscape of global BLE beacon technologies market are focusing on new product developments, emphasizing enhanced performance capabilities. Majorly attributed to lower power consumption compared to other Bluetooth beacons, BLE beacon technologies are witnessing higher traction over the recent past. As organizations are stretching their marketing budgets for improved productivity in form of highly specific location-based marketing capabilities, it is more likely that BLE beacon technologies will continue to experience significant adoption in the near future. 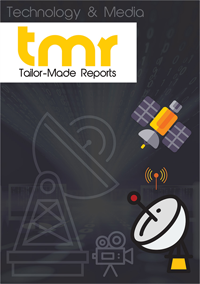 When compared to the total costs associated with the installation of entire wireless network, the relatively low-cost manufacturing and economical deployment costs are projected to push the prospects of BLE beacon technologies adoption across various industrial segments, according to research. North America’s BLE beacon technologies market is currently witnessing notable revenue growth that could be attributed to the rapid and widespread expanse of BLE beacon technologies across the region’s large-scale retailers, especially in the US. Exceptional mobile device penetration is further supporting the adoption of BLE beacon technologies by the North American retail sector. Modern marketing activities such as conveying quick product information, offering the flash sale, and updating on custom deals majorly account for pushing customers’ informed purchasing decisions, which remains a key factor compelling retailers to embrace BLE beacon technologies, thereby fueling revenue growth of BLE beacon technologies market. E-tailers, with an intent to deliver rich digital experience to customers, are especially anticipated to contribute a considerable share in the BLE beacon technologies market expansion. While a sizable chunk of the population of online shoppers is reportedly opening and engaging with the content triggered by beacons and even redeeming offers provided by beacons, the global Bluetooth beacons market is more likely to foresee a positive growth outlook in the near future. However, retail is not the only application being explored by providers of BLE beacons technologies. Millions of Android as well as iOS phones are extending compatibility with Bluetooth low energy (BLE) beacon technologies somewhere in their apps, which is a strong reason cited as a responsible factor for the increasing installed base of BLE beacon technologies in smartphones. Companies are thus exploring a diverse range for applicability of BLE beacon technologies, including manufacturing, construction, healthcare, logistics, and transportation.